Oldenlandia or known as Snake-Needle Grass (百花蛇舌草) is one of the oldest Chinese herbs in traditional Chinese medicine. It grows mainly in the South eastern of China distributed over Guangxi, Guang-dong and Fujian provinces. 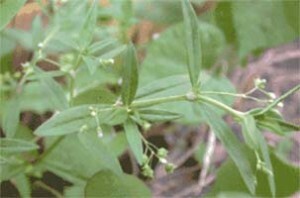 The whole plant (stems and leaves) of Oldenlandia can be used for medical purposes.